The Kailasam Team is what makes us special – caring and always with a ready smile. You can relax knowing you’ll be treated as one of the family. Kailasam is owned by Diana Shipp, who has been running holidays here since 2002. Diana grew up in Brighton, England, studied environmental science and made her career in conservation and sustainable tourism. During this time she was also practicing and studying yoga and began teaching in 1991. Soon her interests in yoga and the spiritual path led her to India. 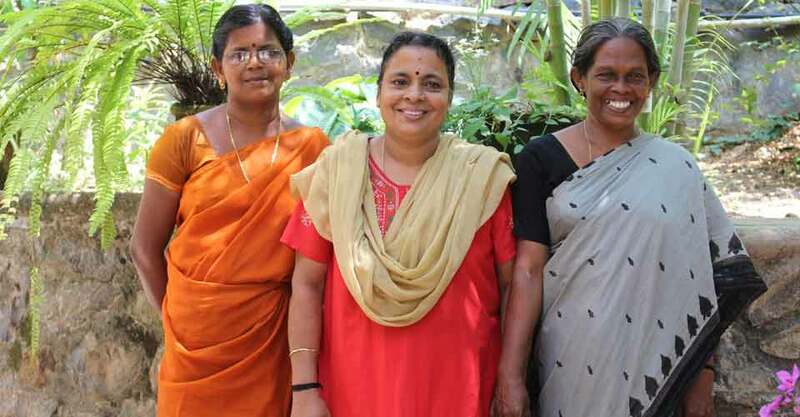 It was in 2000, during a ‘mature gap year’ that she signed up for a teacher’s course at an ashram, discovered Kovalam and fell in love with Kerala. When asked by the owners of a small yoga retreat if she would like to buy it, she knew where her future lay. 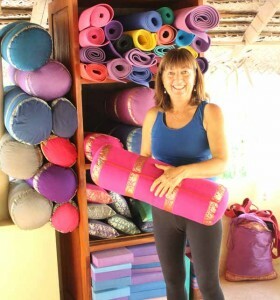 Diana expanded and transformed the small yoga retreat into Kailasam Yoga. Fourteen years on, and we are going from strength to strength. Diana now divides her time between Kerala in the winter, running the holidays, and Norfolk, UK in the summer. She is ably assisted in running Kailasam by a team of loyal staff, including Padmini – the housekeeper and Sajan – the manager. One of their major responsibilities is looking after her dog Dolly, during her absence!